Zingos Supermarket generously donates a percentage of each receipt. Shop at Zingos and save your receipts. Ask your child to bring the receipts to school and stuff them in the Zingos' cans. We always have a Zingo can at our Music Booster table at the NHS Football games and at our music concerts. 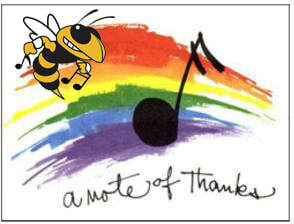 Our heartfelt thanks to you and to Zingos for supporting our music programs and our student musicians!